Buying clothing items that are both stylish and versatile is pretty essential when you have minimal disposal income and very little remaining closet space (i.e. yours truly). 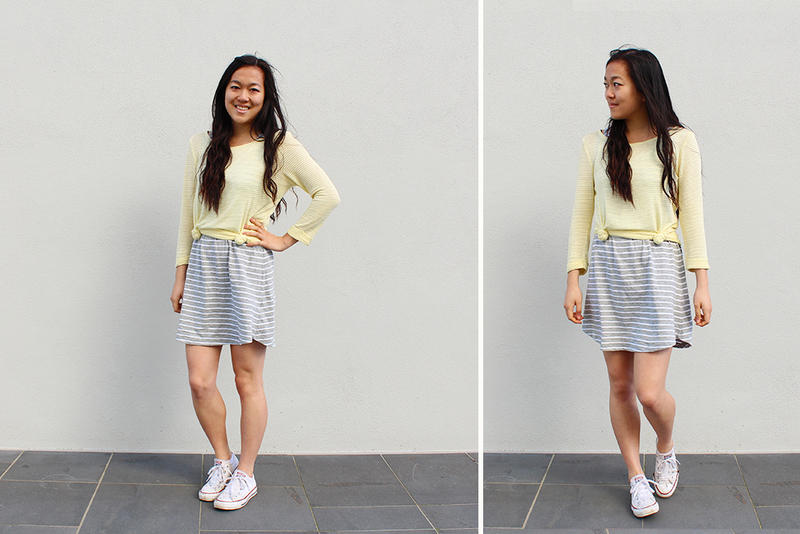 So for part two of my nzgirl Blogger Challenge, I decided to create not one, but FIVE different spring outfits with just three basic pieces from Garage's new season range. Added bonus: each item is only $25 each! No. 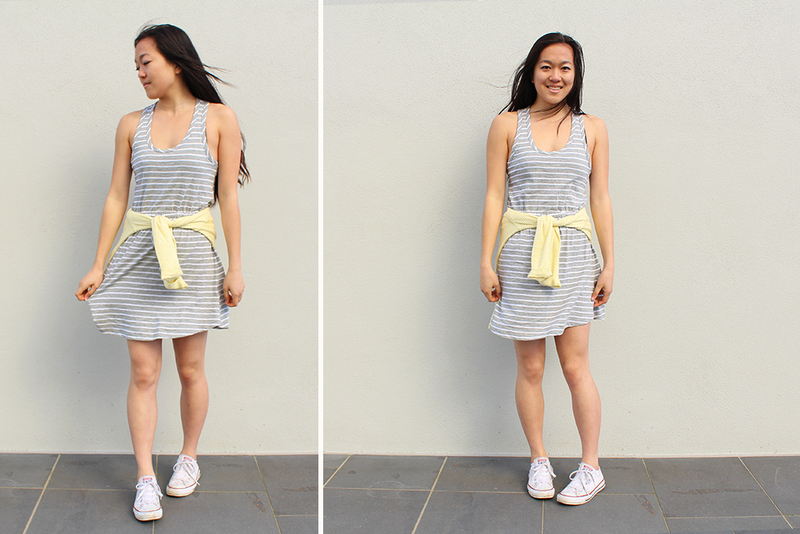 1: The first look is simply this basic Garage tie waist dress in grey and white stripe. 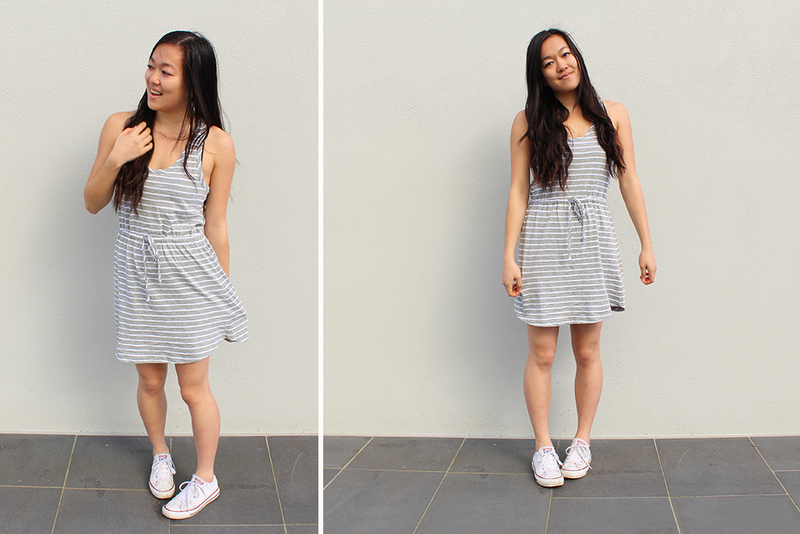 Casual, cute and comfy, it's perfect worn on it's own or as a basis for layering. No. 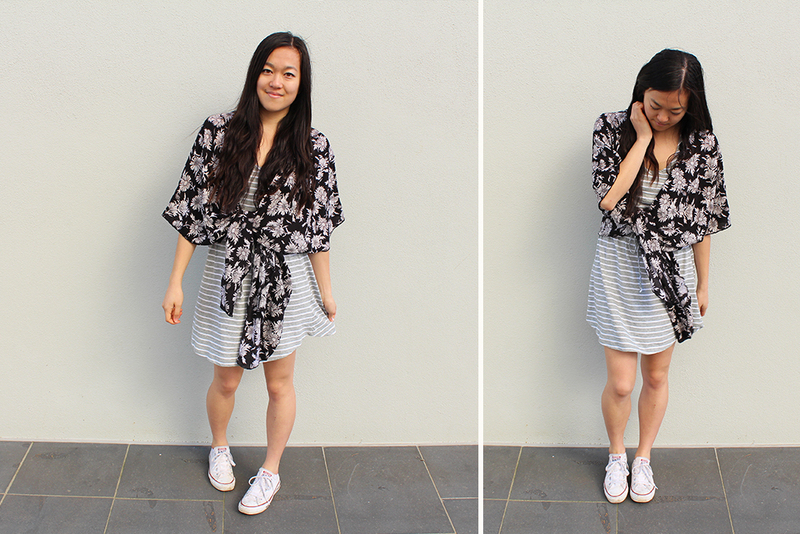 2: Adding this beautiful Garage printed kimono over the dress and tying a loose knot in the front creates look number two. The two monochrome prints compliment each other nicely, while the floral pattern gives it that spring time vibe. No. 3: Switching out the kimono for this Garage yellow striped top (also featured in Part 1), I decided to tie it around my waist for a sporty/preppy feel. Still loving this pretty yellow colour that looks great against the light grey. No. 4: Wearing the top as an actual top now, but still adding in my own twist! I created two small knots at the bottom to create a cropped effect; a great trick to make your legs look a bit longer if you're a shorty like me. No. 5: Finally, putting it all together! 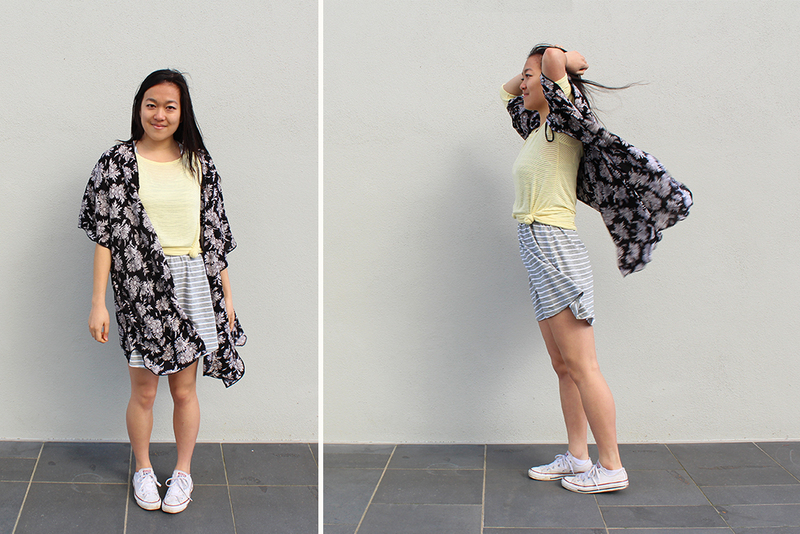 I wore the kimono loose this time, and loved how breezy and flowy it was. It would be so perfect to wear as a cover-up the beach as well! Despite some freezing southerlies and uncooperative hair, I had heaps of fun shooting and editing these photos, especially that first one! 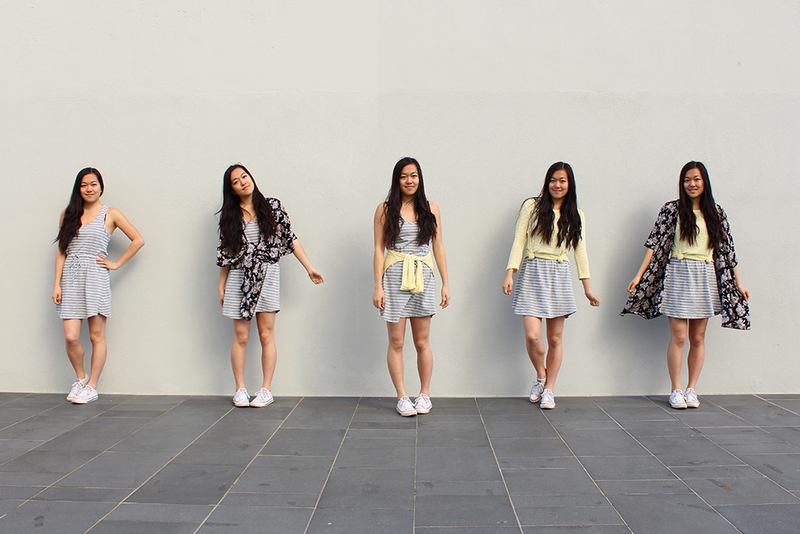 (five Helenas in one shot?? :o) I hope this post was helpful and gave you some inspiration about what to wear this spring; don't forget to enter nzgirl's competition here to win some new spring pieces for yourself!